Rosedale Mansions, Boulevard £375 p.c.m. Newly refurbished two bedroomed apartment with integral appliances giving a warm and modern feel to the property. The property also has private parking, secure entry and a care taker for the building. Whether this is your first step on the property ladder or a small family, once you step inside you'll feel right at home. Just call 01482 319200. 3 Folkestone Avenue, Hull, HU5 1BU £375 p.c.m. Two bedroom terraced house situated just off Beverley road. Recently refurbished with neutral décor throughout. Boasting contemporary fitted kitchen with dining area, two good sized reception rooms. To the first floor is a family bathroom with shower over the bath and two double bedrooms. The property benefits from a private and secure rear yard. Codys Lettings are please to present TO LET this ground floor two bedroom flat. The property briefly comprises of entrance hallway with good sized lounge, kitchen, bathroom with white suite and two bedrooms. The property is newly refurbished. It is an ideal location, close to the city centre and local amenities. 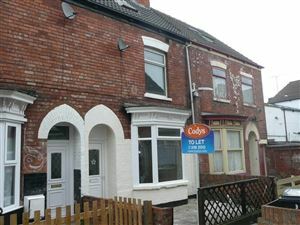 Holland Street , Holderness Road £395 p.c.m. Fantastic 2 Bedroomed property which is an ideal family home. The property is neutrally decorated throughout with a modern fitted kitchen with integral oven and hob. The property has a large through lounge with dining area. Just call 01482 319200 to book a viewing today. Hessle Road, Ground Floor Shop £400 p.c.m. Codys are proud to present this newly available shop unit to let!Located on the busy Hessle High Road. This is a fantastic opportunity for any start up business. Furnished unit and ready to go business.Property can be cleared if needed.Codys recommend early viewings to avoid disappointment! 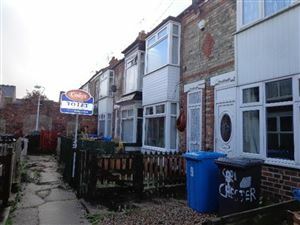 Park Avenue, Perry Street, Hull £400 p.c.m. 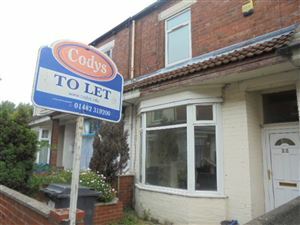 Three bed terraced property situated Just Off Perry Street, Anlaby Road in Hull. . The property benefits from a small yard and garden to the front, double glazing and central heating. The property is close to local amenities and transport links to and from the City Centre. With a spacious lounge and bedroom areas, this is fantastic family home. 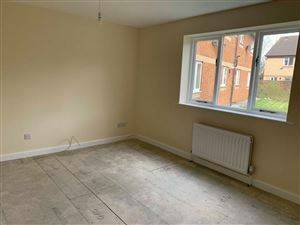 Chester Avenue, Manvers Street £425 p.c.m. Fantastic 2 bedroom terrace property. 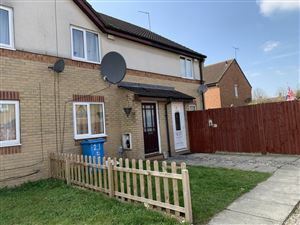 The property briefly comprises of: living room, with brand new laminate flooring, fully fitted kitchen with tiled flooring, a newly fitted bathroom and two bedrooms. The property has been newly redecorated to a high standard and is very modern. 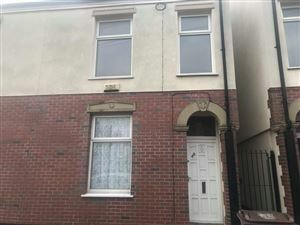 Zetland Street, Hull £425 p.c.m. Fantastic 3 bedroomed family home situated just off St Georges Road. The property is neutrally decorated throughout, with a contemporary fitted kitchen. With a large lounge/dining area and 3 good sized bedrooms, this would make a perfect family home. call 01482 319200 to view this property. Berberis Close, Hull £425 p.c.m. Fantastic mid terraced 2 bedroomed family home, the property has a modern fitted kitchen and is neutrally decorated throughout. The property is located on the outskirts of the city centre and is just a short walk away. Giving a right at home feeling as you walk through the door, this is one not to miss out on. Three bedroom terraced property situated in a well established residential area just off Anlaby Road in Hull, close to local shopping facilities and with good transport links to the nearby Hospital , Hull City centre and train station. Property briefly comprises entrance hall, through lounge and kitchen to the ground floor and to the first floor are three double bedrooms and large family bathroom.